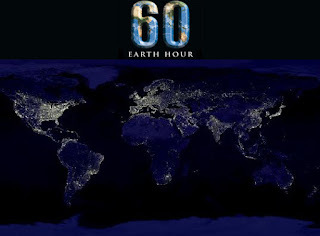 Hold the thought, Get the point: Don't turn off the lights..
Earth Hour is not about saving the Earth. The planet is resilient and smart enough to save itself. It's about saving ourselves. The planet managed to survive 4.5 billion years, making it through earthquakes and droughts, meteor hits and floods. What's a couple of billion people? Guess the planet has figured out a way to get rid of us! Though bad air and lack of clean water.